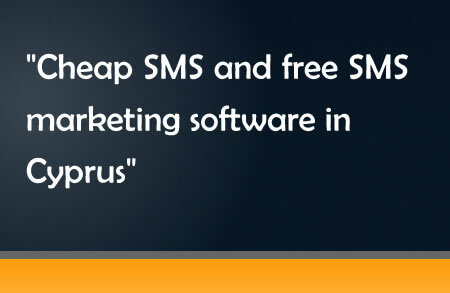 SMSTrader, a unique SMS Marketing Tool has now been launched in Cyprus. This service is being launched in Cyprus after a successful uptake in Malta following its launch last December. SMStrader provides the trader with an easy and fast way to carry out SMS marketing by providing powerful SMS tools combined with the cheapest rates on the market. Thanks to the intuitive features of SMStrader, one can register for free and start sending marketing SMS right away. One may also opt to upload one’s contact list/s and through our innovative SMS Merge tool create a campaign with personalised messages. SMS Trader is more than a bulk SMS Service and it provides a set of marketing tools to assist the trader in creating, sending, monitoring and measuring mobile marketing campaigns. Some of the features include; importing and creating contact lists, removing duplicates, the campaign wizard, a personal sender ID – an alpha-numeric name eg. company name, an SMS Mail Merge, real-time send out monitoring, send-out suspend and resume, possibility to send FlashSMS and Campaign Statistics. All SMS have a physical limit of 160 characters however longer messages can be sent as multiple or concatenated messages. SMStrader provides full coverage of the Cypriot market, catering for recipients connected to any Cypriot-based mobile service provider or mobile virtual network operators (MVNOs). The price per SMS is consistent across all operators and recipients are reachable locally and abroad. European coverage is also available. SMSTrader offer the cheapest rates on the market per bundle. The pre-paid bundles have no time windows.